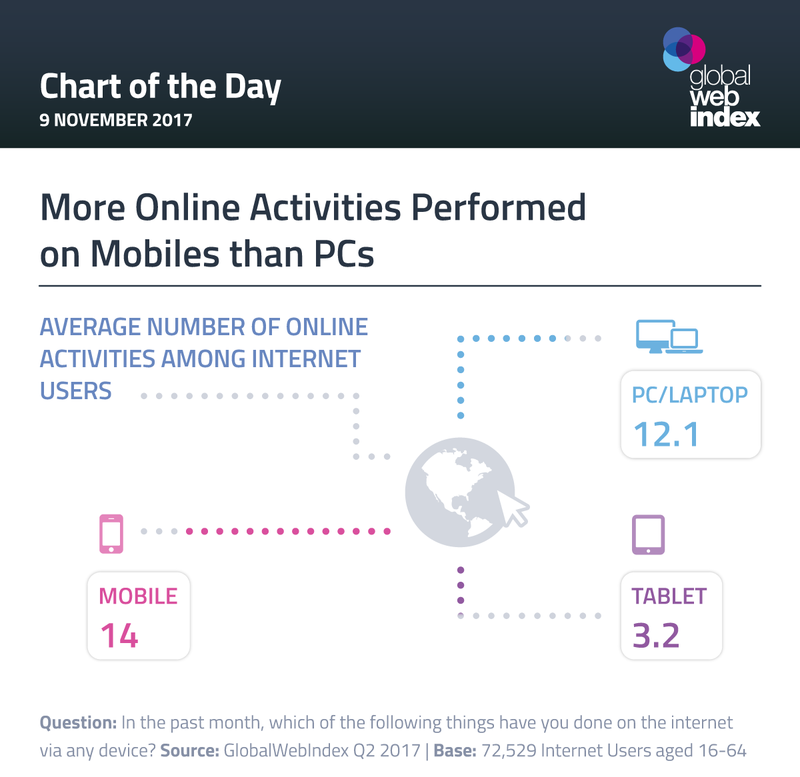 In the last quarter, internet users averaged 14 activities on their mobiles, vs 12 on PCs or laptops. Quite simply, internet users are doing more on their phones than they are on their computers, indicating that ease-of-access is key. We can also see how limited the use-value for tablets has become, with an average of only 3.2 activities performed on them. While mobiles have taken the initiative from computers, the number of activities conducted on the latter remains high – reminding us that engagement strategies should be flexible across large and small screens, even as the online landscape becomes mobile-first.